A new study reveals the vital role loved ones play in the nightly question of whether an insomniac will sleep. The insomniac is never without an ode. Show me a poet who does not have a poem with “insomnia” in the title, and I’ll bet that they can write you one. Perhaps the poet’s mind, as my husband’s does, tends toward hyper-activity, one of insomnia’s many inducements. Writers have been vigilant recorders of disrupted sleep for centuries, leaving a trail of pages in their sleepless wake. Less documented are the stories of the wives, sisters, spouses, and partners of insomniacs—those who stayed awake. A study recently published in the journal Sleep finds that “insomnia is largely seen as an individual condition despite the fact around sixty percent of adults sleep with a partner.” In the study, half of the participants adjusted their own sleep to accommodate their sleepless partner, often modifying their leisure activities in response. Thirty-nine percent changed their family routine and seventeen percent went so far as to modify their work schedule around their partner’s irregular sleep patterns. “Our preliminary results suggest that while some of these behaviors make the patient feel supported, their partner may be experiencing more anxiety,” commented Alix Mellor, PhD, lead author of the study. As Mellor’s study highlights, the insomniac is not always alone. Often there is a sleeping partner spooled in the sheets next to them. And, more often than not—at least in my restless bedroom—that partner is propped up beside the sleepless loved one, telling stories, administering back rubs, singing soothing lullabies. The study begins to document the sacrifices of the partner in an insomniac’s bed. Such accounts are far less prevalent than the poetic groans, fist shaking sonnets, and aggravated lyrics of the insomniacs’ themselves. Yet relationships, jobs, and daily lives are regularly disrupted by insomnia, and families, spouses—insomnia’s partners—are all deeply affected by a loved one’s inability to sleep. 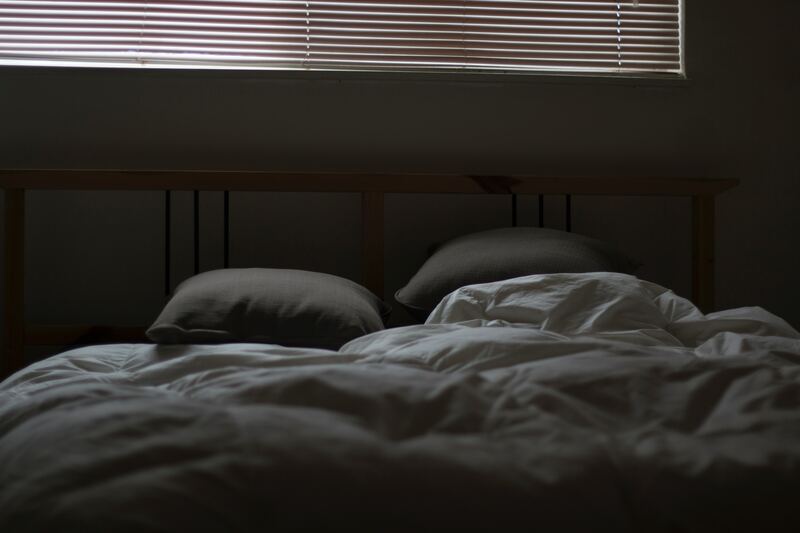 As the new research demonstrates, partners are often crucial players in the nightly question of whether—and for how long—an insomniac will sleep. It’s time someone sung their song. Which, put to music, might sound something like a lullaby. Jodie Noel Vinson is a Seattle-based writer and editor currently working on a book about insomnia. Her essays and reviews have been published in The Rumpus, Creative Non-fiction, The Gettysburg Review, and Los Angeles Review of Books, among other places. For more of her work, visit https://www.jodienoelvinson.com/ or follow her @jodienoelvinson.